Nikola intends to build 364 hydrogen fueling stations across the U.S. Unfortunately, no buy price was announced, so we’re not sure how costly Nikola One is as compared to a conventional diesel rig. Nikola Motors made all sorts of other related announcements too. The automaker stated that it will begin constructing its $1 billion factory sometime next year and that production of the One is set to begin in 2020 or so with an outside company, Fitzgerald, handling initial production. Production capacity could be up to 50,000 units per years, claims Nikola. Additionally, Nikola announced the Nikola Two, a non-sleeper cab version of the One. Nikola even announced that it signed Ryder up to be its nationwide sales, service and warranty provider. And get this…$4 billion in pre-orders for the Nikola One have already been received. Here’s a 42-minute video from the event. It describes in detail some of the various other announcements/claims, such as how Nikola Motors will forever revolutionize trucking and so on. SALT LAKE CITY. December 1, 2016 — Nikola (pronounced Neek-oh-la) Motor Company will unveil its highly anticipated Nikola One electric semi-truck tonight at an invite-only event in its Salt Lake City headquarters. The event will be attended by more than 600 members of the media, industry partners, customers and government leaders. For those not in attendance, the event will be live streamed on Nikola’s website: www.nikolamotor.com, beginning at 6:45 p.m. Mountain Time. The Nikola One utilizes a fully electric drivetrain powered by high-density lithium batteries. Energy will be supplied on-the-go by a hydrogen fuel cell giving the Nikola One a range of 800 – 1,200 miles while delivering over 1,000 horsepower and 2,000 ft. lbs. of torque – nearly double that of any semi-truck on the road. Never has a production model class 8 truck achieved best in-class fuel efficiency while also dramatically improving performance over its diesel competition – all with zero-emissions. The Nikola One leasing program will include unlimited hydrogen fuel, warranty and scheduled maintenance during a 72-month term. To date, Nikola Motor Company has accepted reservations totaling nearly three billion dollars in future orders. “Nikola will build a world-class advanced manufacturing facility which will create thousands of new jobs,” said Nikola Founder and CEO Trevor Milton. Nikola is currently in discussions with several states to decide who to partner with in its effort to reduce America’s dependence on fossil fuels, advance green energy and revolutionize the trucking industry. The location of the Nikola Motor manufacturing facility will be determined in the first half of 2017. At the launch event, Milton will also unveil Nikola’s plan for a network of Nikola hydrogen fueling stations across the US and Canada. Nikola plans to begin construction of its hydrogen fueling stations in January 2018. At this evening’s event, Nikola Motor Company will announce Ryder System, Inc. as its exclusive nationwide distribution and maintenance provider. Ryder has a network of over 800 service locations in North America today. In addition to Ryder System’s national coverage, Thompson Machinery, a Caterpillar dealer and an early investor in Nikola Motor Company, will also offer sales and service in Tennessee and Mississippi. Nikola Motor Company also unveiled it plans for a 1,000 lb., 107 kWh battery pack for its electric UTV, the Nikola Zero. “Our battery engineers have made major advances in storage and cooling,” said Milton. “We believe our lithium battery packs are more energy dense and weigh less than any available vehicle production pack per kWh. This new battery pack should give our UTV over 300 miles of range on a single charge,” added Milton. Nikola plans to offer its patent pending battery packs to OEMs for purchase beginning in 2017. 171 Comments on "Nikola One Unveiled: Hydrogen-Electric Semi Truck With 320 kWh Battery, Production In 2020"
Nothing is mentioned about how it is plugged in and charged, if at all. Then why have a 324 Kwh battery? I’m mean that’s like having 4 Tesla Model-S batteries in one vehicle. Surely there must be a way to charge it. The truck needs that large of a battery to provide enough energy to generate the horsepower necessary for hauling heavy loads because the hydrogen fuel cell likely doesn’t provide enough power to satisfy peak energy demand. Similarly, the large battery is what enables regenerative breaking for a vehicle that heavy. Trucks like planes aren’t making money unless they are moving, so I suspect there would be few opportunities for charging in everyday use. Yes, the driver need to sleep (for now), but sounds like Nikola is making the bet that there won’t be charging infrastructure available when you need to charge, so they opted to save weight and cost by leaving charging feature out. But they think it’s worth creating the Hydrogen infrastructure? Every analysis done shows electrical charging infrastructure is cheaper to build than hydrogen. That’s why most automakers gave up on or never tried HFC cars. According to their website it does have one. But I imagine it would rarely get used since the battery will be kept charged by regen braking and the range extending fuel cell. It sounds like when the vehicle is idling or in traffic it is running off battery power alone and the range extender doesn’t kick in. So perhaps there are situations where the plug would be used. They wouldn’t want to have it fully charged. But anyway, I’d expect the driver to be able to switch it to EV mode. It has plug, there is plenty of information on their website. Not that it is needed. Expensive trucks want to stay in the same place as short as possible, time is money. STILL 100000000000000000000000000 TIMES BETTER THAN DIESEL.. NO MATTER WHAT ! No plug. Just a relative small power fuel cell to charge the battery. Good concept, from the technical point of view. Fuel cell are expensive. Batteries are getting cheaper every day. An huge batteries (1MWh, 2MWh) are expensive and fast charging them is another challenge. Hydrogen fueling stations will be the challenge here. They are expensive. And don’t forget a battery with that capacity weights something like 10 metric tons… or one fourth of the maximum weight of the whole tractor+trailer combination (at least in Europe). Anyways, it would be great to see either of these proposals (Nikola or Tesla, pun intended) for electric semi trucks being built. Or maybe a combination — full BEV for short distance, fuel cell for long distance travel? A 85kwh Tesla Model S battery weighs 1200lbs. So the Nikola one battery is roughly 4X and should weigh roughly 5000lbs (2 metric tons). Sure. I was referring to the 1 to 2 MWh battery of the previous poster. Fuel cells are becoming $10,000 100 kW devices. Fast charging huge batteries is not a challenge. If they already can do 350-400kw DC for buses, no reason an idled sleeper can’t fully charge in 4-5 hours, at a truck stop. They can do it technically but it is cost prohibitive. Demand charges for high power users may reach $42/kW/month as in San Diego and you need to refuel long haul trucks all over the continent, not in your friendly city with predictable electric rates. Imagine few trucks charging at the same time. There is no grid that would be able to support it at reasonable cost and at wide scale. Either you build your own nuclear stations for truck stops :/, or install buffer batteries matching size of truck batteries that would cost tens of millions at least and still to slow for commercial transportation. Honestly, it would be smarter to produce electricity than hydrogen. Or use a Nat Gas fuel cell. Thank you for that textbook example of FUD: Fear, Uncertainty, and Doubt. I’m sure the electric utilities can figure out how to provide “EV truck stops” with a high power hookup when needed, just as they provide high power hookups to large office buildings and factories. You never hear anyone claiming that demand charges will prevent building or renting out a high-rise office tower, nor does that seem to impact industries which use a lot of electricity. I don’t claim electric utilities or engineers can’t provide multi-megawatt charging levels. They can just fine. They can build even gigawatt level reactors just fine, given few billions and a decade or so lead time. The question is will you or anybody with money be willing to pay for all this nonsense. It is nonsense because the numbers don’t add up, and your inability to provide quantification for your dreams is also some kind of proof of it. You should apply your middle school level math skills if you have them and quantify (for yourself) amounts of energy needed to be transferred to long haul class 8 truck(s) to drive a thousand of miles non-stop. Gosh, I’ll try to bear up under the terrible burden of being accused of “inability to provide quantification” by a fool cell fanboy who denies both the Laws of Thermodynamics and the economic reality of EROI (Energy Return on Investment). I will, however, point out that if you’re suggesting renewable hydrogen is what will power future long-distance trucking, then that will require ~2.6 times as much energy as long-distance BEV trucking, because the latter is so much more energy-efficient. Battery exchange is the way to go because it would solve both problems you mentioned. Lower price because fast easy exchange would permit smaller 500 KWh batteries and exchanging batteries allow the one at the swap station to be recharged slowly with no special need for a big recharge power. Actually they could even be recharged by photovoltaics. In more the swaping system would be super cheap because the truck’s own hydraulics could do it all starting from a battery just sitting on an unload dock. No need for the sophisticated Model S battery swap system but just retract the battery to place it where the standard bulge of a diesel truck usually is. That’s more than enough place for the battery. Excellent post PP, but you left out one of the most important considerations. A BEV semi, assuming practical, could save $1,000,000 in fuel costs over a 20 year service life. That assumes a low fuel cost of $2.50 gallon, almost certainly understated over 20 years. This company will provide the truck AND the fuel. For the first time a vehicle maker will provide BOTH. Imagine GM providing the gas stations then telling Standard Oil to take a hike. Q: How far can the Nikola One™ travel on the battery pack alone? A: the Nikola One™ can travel around 100-200 miles at full battery level, depending on the size of the load. The Nikola One™ also has a charging port to help top off the batteries whenever you are resting. this is consistent with what i had stated in a previous discussion. to do this semi in a full BEV would have required a 3MWh battery. aside from the cost of such a battery, charging time would have been a real issue. My own back-of-the-envelope analysis indicated 1800 kWh, or 1.8 MWh, to ensure enough energy for 750 miles at highway speed; the maximum distance any long-distance trucker would normally drive in a day. You might want to add 10-20% to that for a safety margin, but 3 MWh seems rather excessive. I would reduce that quiet a bit to 300 miles if fast easy swaping dock stations are available. So that would be a much smaller battery according to type of load. Truck drivers need to go to the lavatory too, so they stop that much anyway. Agreed; standardized battery packs and battery swapping “truck stop” stations would let the trucks use considerably smaller and lighter batteries. That might be feasible for a large trucking fleet which runs trucks on just a few corridors, so that it’s economically feasible to install battery swap stations every 300 miles or so along those corridors. But I think batteries are still too expensive to justify long-distance freight hauling with a BEV. (See my detailed “napkin math” analysis posted above.) I think we’ll have to wait several years, or possibly a few decades, until batteries come down in price and weight sufficiently for the economic case to make sense. if 320 kWh gets you 100-200 miles of range, then if you assume a full load (in which case you would probably get 100 miles of range), you do the math to figure out how large of a battery would be needed to achieve 1,200 miles of range. unlike you, the people at nikola have apparently been working with an actual trucking company to get a sense of what kind of range would be required for a long-haul semi truck. i’ve got to believe that the people at nikola have a better reason for believing that they needed to provide 1,200 miles of range, than you have for believing that 750 is enough. Assuming $5000/mo and conventional truck gets 5 MPG and $2/gal on average (both very optimistic), 12.5K miles per month (417 miles a day) would be free truck. Doing the math with more pessimistic $7K/mo, 10 MPG works out to 35K/mo (1167 miles a day) for free truck. At that price point, why wouldn’t they take the deal if there’s H station nearby? But after 1 million miles of free fuel, fuel cost could be far higher, maybe equivalent to 10 times diesel. I agree that current outrageous high H price is due to lack of scale. But there are caveats. If H is to achieve large scale, they can’t get it from cheap surplus sources. They have to use fossil fuel, either as reformation or electrolysis from fossil fuel sources. In that case, production cost will be more than gasoline. The distribution for H is lot more complex than gasoline. Volume and usage pattern will make it highly variable, but it will be more expensive. Combine the two, and you’re talking about easily 2X to 3X of today’s gasoline even with mass scale. But with Dump in office, I suspect more will be done for fossil fuel, at least with regard to keystone pipeline. That could result in lower diesel prices, further decreasing demand for H and resulting high price. Frankly, I don’t see H taking off any time soon while diesel price could go down even more. So yeah, 10X more than diesel is still likely. I forgot to mention, that it was recently announced that two plants will be built in California that will make 100% renewable H2 from solar and wind power. The one in Palm Springs will be the largest renewable hydrogen plant in North America. Well, truck service is pretty extreme – I’d be interested in seeing the life cycle costs of the fuel cells used in them. I realize they can get the efficiency of the electrolyzer effectively up by just running the thing at 10,000 PSI. That way they only have to pressurize the incomming water, a relatively low cost affair. But someone really needs to put on some green eye shades to see how economically beneficial this will ultimately be. Oh, and Nuke Power? Not happening in the states – the long term trend is fewer plants, not more. As far as new plants go, perhaps the Russians and Chinese have something, but currently the precious few new plants being built in the south are way over budget, and Europe’s new Nuke plants are having nothing but problems and cost overruns. Oh, and as far as viability of the 2 new Southeast (VOGTLE?) units, I remember reading one consultant’s anaysis of the whole concept of the thing – stating that the current ‘grid’ price is 4.6 cents/ kwh and the new nukes cannot generate even 11 cent/ kwh juice. His conclusion “What were they thinking?” – In other words, we need to convince people to pay much more for juice and fast if this thing is going to fly. Hydrogen is already a bad idea compared with batteries when starting from renewable electricity but it loses completely its meaning of durability if it comes from fossil fuels. A change to fossil fuel based Hydrogen from fossil fuel based gasoline doesn’t make any difference, it remains as bad for global warming, for fossil fuel dependence and is not a long term solution anyway. I don’t get you, you should know very well that electricity used to charge batteries are also fossil fuel based most of the time, and it is worse than methane steam reforming, it is BURNING fossil fuel (coal and nat. gas) and dumping all NOx, SO2, CO2 and any other junk into atmosphere, in some aspects worse than ICE with low-sulfur fuel and catalytic converter. It can and will be replaced by renewable sources of energy eventually, but it is the same story either if you go solar/wind -> electrolyzer->hydrogen storage->PEM fuel cell path, or solar/wind->battery storage with fossil fuel backup -> car battery path. The cheapest energy source wins in any case, and it includes cost of energy storage too. 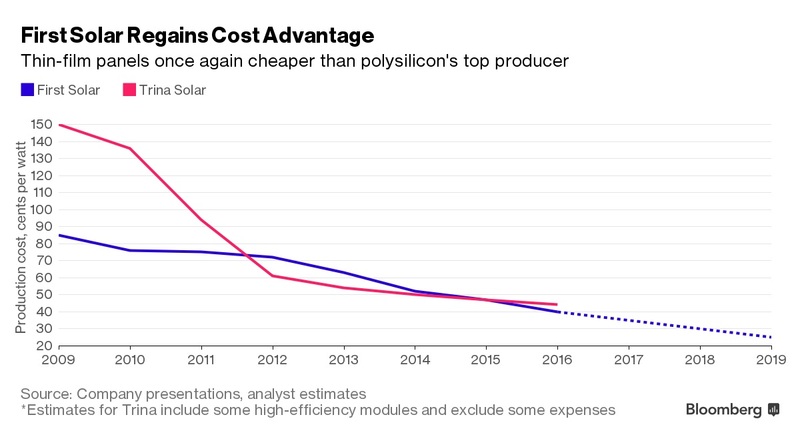 PV panels got very cheap, below $0.50/W wholesale, but storage didn’t. Governments may provide incentives, but up to certain point only. Unlike some (many?) here, I don’t care about CO2. What matters most is money, and H fails in that regard, and I don’t see it getting better any time soon, if ever. You say $5/kg, but I doubt that’s true for retail. I mean, that’d be cheaper than gasoline. Far more realistic is about $13-$15/kg in CA. Scaling won’t happen if FCEV are selling in few hundred. However, I do think liquid H could have potential IF (huge IF) scale allow for it. But again, I just don’t see scale happening. I don’t mean retail, it is commercial price for delivered hydrogen at medium scale on East coast. May be more a low scale. Big scale users though would likely to find that generating their own on site is cheaper. Yes, of course few hundred cars will not make scale, so you have this $15/kg in California. It doesn’t matter for first drivers as automakers pay for fuel anyway. Now if you think it will never be scaled up, than the price will stay such. But who cares about price for few hobbyists in such case. I would only care about price targets at mass scale. Of course it’s crazy. Fool cell fanboys have taken a page from global warming deniers and Trumpians; they simply ignore facts and assert B.S. which has not the remotest connection with reality. Truth is irrelevant to them. It is you who are science denier in this case. I have posted numerous links to DOE and other scientific studies including thorough economical analysis. You just ignore everything as if you can’t understand scientific method, and continue posting Tesla advertising and links to cheerleader blogs, and numerous conspiracy theories and accusations. Shell sells hydrogen for $5 per kg in L.A.
You’re trying to handwave away some important energy-losing steps, such as the high energy costs of compression and dispensing station re-compression, as well as the inevitable losses from leakage during the several steps along the way from generation to dispensing. Even the most ardent of fool cell fanboys can’t change the laws of nature. Don’t mistake me flipping you the bird for handwaving. Dude, any time you want to repeat your mistake of claiming that improvements in battery energy density are actually increasing every year faster than the previous year, you go right ahead and show your ignorance of basic engineering. In the real world, the law of diminishing returns applies to improvement in li-ion batteries. But I fully expect a fool cell fanboy like you to continue your habit of completely ignoring science, physics, thermodynamics, engineering, basic economics, and “inconvenient facts”. That a math class dude. You don’t even understand basic math, but claim to be an expert in the Laws of Thermodynamics. You’re a fool and a dumb a**. What does this actually mean in regards to money in Nokola’s pocket now? Just because people raised their hand, doesn’t mean Nikola has $4B to spend. I hope they succeed, though I was hoping they would have stuck with CNG, and utilized the existing infrastructure. And since they are not selling the truck only leasing (5k-7k/mth) we don’t know what value each reservation could be. Most likely they’re just counting the number of clicks on their website, and pretending that each click represents a future sale. As I said earlier, this is nearly a Faraday Future level of ridiculous hype. Each refundable deposit is $1,500. 7000+ deposits x $1,500 = $10,500,000+ in Nokola One’s pocket now. “7,000 orders” doesn’t tell you the time scale for deliveries. commercial entities don’t buy the way that consumers do, they can do contracts calling for scheduled deliveries. i suspect that most of those 7,000 orders are from us express. Yes 7000 x %600,000 per truck sales price is over $4 billion. i think that the nikola reservations are more significant than are the tesla reservations because commercial entities don’t tend to be as fickle as consumers can be. furthermore, tesla’s consumer base loads toward ev enthusiasts, who seem to be even more fickle than consumers in general. given that nikola is dealing with commercial customers, i would say that the nikola reservation list is a lot more reliable, for turning into ultimate orders, than that of tesla. commercial customers are generally less likely than general consumers to act on a whim. Less fickle, but also less tolerant than private buyers. Impressive number of innovations, not only in the truck design but in the marketing, sales and operation models. It will require an enormous amount of capital to build and operate the number of hydrogen refueling stations planned. Billions. No mention was made of where the financing will come from. The plan, as presented, does overcome some of the limitations of passenger car H2 roll-out. Others, like longevity of H2 stack, were not addressed. Clearly a lot of thought and skill went into what has been produced so far. Bravo! i’ll state this much; if i’m a trucking company, i don’t take one of these without an *extensive* warranty. you just don’t know how well the high pressure hydrogen system will hold up. you can bet that the 7,000 reservations will be scheduled for delivery over several years. Doesn’t hydrogen get the most ZEV credits? Or is that only for light passenger vehicles? For passenger cars and light duty trucks through 2017, hydrogen gets 9 ZEV credits. I’m going to guess that California or other CARB-ZEV states won’t be there biggest market. The ZEV credits reduce to 4 in 2018, and are worth typical $2500 to $4000 each. Pro tip for automotive manufacturers: if you want to sound like an innovator, stop comparing yourself to the competition. Also, huge loss not hiring Peter Cullen (the voice of Optimus Prime) to do that tedious voice-over. This is the first time I’ve taken Nikola Motors seriously at all. The Ryder partnership was an obvious winner. Regarding Hydrogen cells, the battery energy density just isnt there for class 8 freight trucks. Wrightspeed has a fair idea of a genrator that runs on petrol like a giant Chevrolet Volt 1, but it isn’t solving emissions. The sad reality is that hydrogen fuel cells aren’t solving emissions, either. We get our hydrogen from the oil industry. The process pollutes. Whatever Nikola Motors is doing, it is a step in the right direction, but it is not a destination. I remain mystified how Tesla is going to build their class 8 vehicles, which are apparently undergoing testing right now, with nothing but a plug. This announcement this week came at the right time. If they waited six months, I’m sure they would have missed their window. Maybe that automated swapping thing will come in handy after all! I don’t know where your company gets it (somehow I doubt you get it at all), but even if you get it from steam methane reforming source, it is much cleaner and more efficient process than burning it for electricity. And the hydrogen suppliers are industrial gas companies, like Air Liquide, Linde, Praxair, NEL. These are not oil companies, although they sell to oil companies too of course just like for any other client. Ammonia producers and oil refineries may produce hydrogen on site, but typically it is used on site immediately. In California, hydrogen stations should sell 33% renewable hydrogen to match approximately electric grid. In practice the % is higher, over 40%. In countries like Norway or Denmark stations sell 100% renewable hydrogen. Sorry but that is not compatible with a zero fossil fuel use. In thousand years zero electricity will come from fossil fuel burning and if there is Hydrogen for iron ore reduction it will not come from methane reforming either but from electrolysis using renewable electricity. Since we plan for that right now, any process based on fossil fuels can not be considered a durable solution. So why even consider it in the first place? But I’m not a fan “one way for everything and everything is a nail if you got a hammer” approach. Fossil fuel is here and it will be used for a while like it or not. Government may mandate to use say 33% renewable H2 fuel like in California, or whatever else, hoping solar/wind cost will go down (and it does) over time, but you won’t get 100% renewable everywhere from next year. This option isn’t on the table. As of today, the option is to burn fossil fuel in electric power plants or steam reform it. But some utilities still invest into nuclear for over $0.10/kWh with decade long building times and commitment for many decades because non-dispatchable solar/wind is useless for them. Storage (including long term) cost is the bottleneck, not PV cost. That’s just Big Oil propaganda B.S., and repeating it endlessly doesn’t make it any less false. This is one of the few applications where I think Hydrogen is appropriate. And much like the electric energy grid, creating hydrogen has the opportunity to get much cleaner over time. I really hope they make it. They say that for an independent tractor-trailer rig trucker in the USA, the cost of (diesel) fuel is half the operating cost. There would be an advantage to switching to a cheaper fuel; particularly CNG (Compressed Natural Gas). Switching to a much more expensive fuel (compressed hydrogen) makes no sense. It would be quite literally insane to do so. The efficiency of an HFCV is significantly greater than the efficiency of an ICEV. Plus, in this case it’s also a plug-in, which means that a not-insubstantial part of the daily operating range could be from grid electricity (1/8 to 1/4) and as with BEVs, that EV range would mean that they could function with a relatively sparse refueling infrastructure. Higher efficiency, grid miles, plus sparse infrastructure requirements would make it much easier for it to succeed. Feel free to mock pure HFCV cars like the Mirai when their usage patterns can be met easily by BEV and PHEV and the refueling requirements make the market challenge so much harder, but given that BEV can’t yet meet the trucking challenge, we should be hoping that heavy-freight PHFCV can work. Fool cells actually become even fooller when still more Hydrogen is used in trucks, but battery swapping makes much more sense in trucks and planes then in cars. This is an “honor by association” fallacy. People were saying the same about Faraday Future when FF penned the deal with the State of Nevada. How did that work out, again? Revealing your own anti-Tesla bias isn’t helping your case. Not everything is about Tesla Motors, dude. You get anti Tesla from that statement?? In spades, dude. You’re insinuating that nobody could possibly have an honest opinion that any startup EV maker’s business plan isn’t realistic; that any such opinion must be pro-Tesla bias. Dude, if Tesla never existed, it wouldn’t change by one iota my judgement of how unrealistic using compressed hydrogen for fuel is. My judgement of that — not mere opinion — is solidly founded on basic physics and basic economics, and I don’t need Elon Musk labeling FCEVs “fool cell” cars to understand that reality. And anyone who continues to claim otherwise, even when we’ve pointed out the actual facts, actual science, and actual economics, is ignoring reality very hard indeed. Your continued defense of hydrogen-powered fuel cells isn’t merely bias. If it’s not motivated by a hidden agenda, then it’s a case of insanity. Literal, clinical insanity. there is a BIG difference. all the state of nevada can do is give subsidies, but they can’t create a market for the products of FF. with regard to nikola, US express is a customer and ryder is a potential acquirer of the company. The H2 dispensed from California H2 fueling stations is already clean. For the past 3 years 45 to 46% of H2 dispensed from Califoria public fueling stations has been made from renewable sources, and HFCVs in California have Well-to-Wheels CO2 emissions slightly more than BEVs charged using the California grid mix, and less than BEVs charged using the U.S. grid mix. If only 46% of the fuel is from renewable sources, then even by your own figure, sven, most of it’s not “clean”. Most of it’s made by simply converting a fossil fuel into a different form… and losing a significant amount of the energy contained, in the process. That’s just the first of many energy-losing steps along the chain from generating hydrogen to getting it into the fool cell vehicle’s fuel tank in a highly compressed (= even more energy lost) state. Sorry Poo-Poo, but you fail. What happens when you charge a Tesla at a Supercharger, or any other EV, using the U.S. electrical grid. The U.S. electric grid is powered by 33.1% coal and 32.9% natural gas for a total of 66% powered by fossil fuels (a majority), while only 13.8% comes from renewables. If only 13.8% of the grid electricity is from renewable sources, then even by your own figure, Poo-Poo, most of it’s not “clean”. Most of it’s made by simply converting a fossil fuel into a different form… and losing a significant amount of the energy contained, in the process. That’s just the first of many energy-losing steps along the chain from generating electricity to getting it into the electric vehicle’s battery. Understanding what you are going here for sven, but to be fair, you were using hydrogen stats via California…which makes sense as 95% of all fuel cell cars reside in the state. However by the same token, of the ~266,000 BEVs sold into the Fall this year, some 132,000 of them (~49%) also where sold in California…of which only .3% of generation is via coal, and renewables are over 21%, increasing rapidly with a 33% target in 2020. Your overall US fleet BEV average electricity consumption from coal is around ~6%. I get that Wyoming has 88% coal and its pushing up the US grid numbers… but it also only has 150 BEVs registered in the state at the same time. Your worst state “offender” on the overall energy generation mix in relation to BEVs (caused via a crazy/unintented $5k rebate now discontinued) was/is Georgia with~23,000 BEVs and a current coal usage/generation rate of 28%. We are getting into some meaningless sophistics here. What is that, California is separate planet with its own atmosphere? California outsources backup of its shaky grid to other states. Even if it signs papers with some hydro energy produces up North, the grid is the same and interconnected one or other way across the continent. The coal state power is part of the grid and the coal makes non-dispatchable renewables possible. More, California outsources most of production of consumer or industrial products to the world factory over the ocean (China) and other similar coal powered places. It is like claiming my gated neighborhood is very clean place as nothing is produced here and I’m entitled as I live here. You see, sven, you betray your own argument by making statements, like this, which are obviously and totally false. You wouldn’t need to do that if you honestly believed your own arguments. One of the reasons electricity is highly useful is that its transmission and use are, very notably, highly efficient as compared to other forms of power. In fact, after generation there are only two energy-losing steps for getting the energy into a BEV’s battery: Electrical grid transmission losses, which average only ~7%, and charger losses, which vary between 8% and ~15%. Much, much, much more efficient than the ~66%-80% loss of energy in the extremely inefficient supply chain between generating hydrogen and actually getting it into the fool cell car’s fuel tank. But you already know that; you’re just hoping to fool the uneducated here with your anti-EV propaganda. They could put an on board reformer to turn renewable HPR diesel made from plant oils to hydrogen. HPR is available at many Propel stations in California, It would be easy to supply it to truck stops and truck yards. That would go a very long way toward making this a practical plan, and it’s amazing Nikola isn’t suggesting that instead. Not only would it make the economics workable, it also would be far easier and less expensive to make the fuel tanks for storing fuel onboard in the form of biodiesel, as opposed to highly compressed hydrogen. Of course, scaling up biodiesel production to support a large fleet would be rather problematic, but still would be far more affordable than trying to scale up using compressed hydrogen as a fuel. Basic science and basic economics show that quite easily. In the 1990s Mercedes had the NECAR that reformed methanol to hydrogen for a fuel cell. They could do the reformer, but probably will not. The beauty of reformed High Performance Renewable diesel is it has NO sulfur, that helps the reformer design reliability. What happens to all that carbon that gets reformed? Is it converted to CO2 or graphite? Bio CO2, the same CO2 the plant absorbed growing. Yes, it’s released into the atmosphere as CO2. But if the source is biodiesel, then it’s carbon-neutral; it releases no more carbon than was absorbed in making the bio-diesel. Far better for the air we breathe than ICE diesel exhaust, which contains large amounts of soot coated with carcinogens, and toxic gases. HPR is biosynthetic diesel not biodiesel. It can be used 100% in ALL diesel engines and burns cleaner. What is the point to put high temperature reformer on board when you can leave it and take reforming product only. Or make the same product from any alternative source, e.g. solar PV and do not depend on wild oil & natural gas price fluctuations. They claim some 2000 lb or so weight savings, and it is big and important for commercial transport. You don’t save weight & money by putting redundant weight on board. Since you refuse to recognize the reality that using compressed hydrogen will forever be utterly impractical due to the highly unfavorable physical properties of hydrogen itself, there’s no point in trying to explain to you why it would be infinitely more practical, and probably at least an order of magnitude improvement in terms of EROI (Energy Return On Investment), to carry a practical fuel onboard, and use an onboard reformer. I’d suggest CNG (Compressed Natural Gas), but biodiesel was suggested in a previous post. This is rather problematical in a passenger car because of the large size and cost of the reformer. But for a tractor-trailer rig, it may be that this would benefit from the advantages of scale. At least, it’s not physically impossible, the way that making hydrogen into a practical fuel always will be. Do let us know if you ever decide to abandon your willful ignorance about “fool cell” technology. If you do, then perhaps we could have an honest discussion with you. You are funny here. Low production cars are on the road and can go over 300 miles on this “impractical” compressed hydrogen, just like any gas car. Meanwhile long range battery cars that can’t be refueled are suddenly practical? Try something more convincing, because you have no clue what are you talking about. And by the way Nikola is planning on liquid hydrogen in cryogenic tanks for their trucks, even if they may have option to dispense it compressed to third-party vehicles. So you are getting offtopic here and prove one more time that you don’t know what you are talking about. I find this concept interesting for passenger cars too. Thinking about a 30kWh battery combined with a 20kW fuel cell stack. This could mean long range and fast filling. Of course the catch still remains: who’s paying the bill for building H2 filling stations? It’s not as cheap as Tesla’s SC network. Mercedes is coming with extended range fuel cell vehicle. Mercedes had NECAR fuel cells that used reformed methanol. They worked fine, in fact one drove across the U.S. It is not as cheap as charger network for initial demo level deployment. But when done at scale, it comes in the same ballpark per dispensed amount of energy, and has storage, so it doesn’t need throttling when electric grid can’t cope at peak times, like in California summer. And of course it is much faster and more usable for long distance travel or city people parking on street. A large hydrogen refueling station in a city center! Hydrogen can be made at the dispensing point, very little is stored under pressure. Since generating H2 via electrolysis is a slow process, it has to be stored and compressed onsite, at H2 filling stations, so that there will be sufficient quantity to fill up a “fool cell” car’s tank. (And the process is so slow that this results in H2 filling stations sometimes limiting customers to half a tank.) Furthermore, since about 95% of commercially produced H2 is made by reforming natural gas, it has to be compressed and transported to a dispensing station, where of course it is stored in compressed form. As a result, the overwhelming majority of H2 available at any time for use in a FCEV is compressed. In fact, I don’t think it’s an overstatement to say nearly all of it is. They can have multiple electrolyzers and/or reformers, not much different than quick charge battery banks. Why would you need H2 station in the city center? E.g. Manhattan doesn’t have much gas stations (Did I just said “gas”? But it may explode! ..running for cover..) but have plenty of cars driving around. With that amount of low end torque, and HP, this thing would be an amazingly superior driving experience compared to diesel. But backing up, or at intersections, this think could be deadly to pedestrians that don’t hear it. Definitely should have pedestrian alert sounds! trucks and vans already emit a beep tone when they back up. I always thought the most logical place to start was in local delivery’s where the trucks have to start / stop a lot and would have time to recharge while reloading…. Smith Electric has already produced trucks for this market. I see some delivering for Frito Lay in Silicon Valley on a regular basis. Also, Tesla and Wrightspeed can ramp up for that market much faster than this newcomer, Nikola. Frankly, long-distance trucking should be replaced by electricied railways. The devil’s in the details of course, but I wonder how it would fare against an autonomous all electric, with automated battery swap? Well, if the H2 filling stations are expensive, then battery swaping stations are insane. Not to mention handling different car/truck with different batteries. It’s an easy job to put a standard plug on all cars, so u can charge them with the stadard plug. Same goes for ICE with the gas pump nozzle. Making a standard battery is close to impossible. I’m not a fan of battery swap for cars at all, but for trucks, it could work if the batteries were in the (flat) trailer which hauled standard containers. You would need no swap station equipment, just chargers, and only N*2 batteries in the fleet (possibly including a small buffer pool). A standardized battery pack would be entirely possible if the battery swap stations are set up for use by a trucking fleet. Not so much for the equivalent of a truck stop, open to the general public. But I’m curious about your apparent claim that battery swap stations are even more expensive than H2 filling stations. Do you have figures? However, if you include the cost of the extra battery packs they’d need to stock the station… then yeah, probably a lot more expensive per vehicle, especially when we’re talking about the multi-ton battery pack needed for a BEV semi tractor. Well, we do have AA batteries, we do have 12 V car batteries. So, that doesn’t seem like impossible. It works quiet well for gas bottles, for shipping containers also. It is quiet possible to set a standard truck battery size spec and let manufacturers work from there. Sadly, the claims here appear to have almost a Faraday Future level of absurdity. I thought Nikola had an interesting but unlikely business model back when they said they were going to power the semi tractor with a gas turbine powered by… was it CNG or LPG? Either would be practical in the engineering sense, even if the economic model is questionable. But since they’ve switched to claiming they’re gonna be using compressed hydrogen for fuel, that makes this just a bigger “fool cell” vehicle. I suppose the fool cell fanboys will be coming along to defend this Rube Goldberg machine, but nobody with any sense would invest money in something so utterly impractical. You never gave us a plausible theory to support your theory/FUD that Faraday Future is scam. We’re still waiting. Put up or shut up Pu-Pu. I don’t think Faraday Future is a scam, I think it is an epic fail. They can’t pay their bills and that tends to shut down businesses. What we are witnessing is the boom and bust of the dot com era with automotive electrification. Whenever you shake a big tree, some of the monkeys are going to fall out of it. Not every .com is going to become Yahoo! or Ebay. Not every EV start-up is going to make it. Not every major manufacturer of ICEs is going to survive the shake-up, either. My money is on Lexus tanking first. I see no need to waste anyone’s time refuting your silly suggestion that investment scams can’t exist because the scammer wouldn’t be able to figure out how to profit from such a scam. What’s next; will you demand that I “prove” 2 + 2 = 4? So you don’t have any plausible theory. Got it. How is this a scam if all the money coming in is going to pay engineer salaries, pay other workers salaries, pay the construction company to build the factory, etc.? How is Jia enriching himself? He’s getting funding from venture capitalists, hedge funds, and institutional investors, not regular people/investors like Madoff did. Venture capitalists, hedge funds, and institutional investors are all sophisticated and professional investors. This ain’t their first rodeo. FYI, Jia is already a fabulously wealthy multi-billionaire, and he put many tens of million, if not hundreds of million of dollars into Faraday Future, while Bernie Maddoff was a pauper in comparison and never put a dime of his savings into his Ponzi scheme. Jia is considered a brilliant tech billionaire, idolized by many in China. You’re saying he is going to destroy his reputation running a scam that will at most net him pocket change relative to his net worth. I’d say this looks a fair amount worse than Faraday Future, even considering FF’s funding problems. Looks like Nikola Motors has some seriously deep pockets and is not into this to make any money. Your $1B cost estimate only allows for $2.75M for each of the 364 filling stations. That will only cover the filling hardware and temporary H2 storage for each site. You need to allocate much more money for electrolyzers and the solar & wind hardware to generate the power for them. I am basing this statement on the current costs for automotive filling stations in California and assuming that, with scale and maturity, the same money can provide a much larger station suitable for these trucks. So, the actual money needed to realize this plan is much higher, possibly 2X – 4X higher. That’s over $200K worth of hydrogen right there…now how do you factor that sort of money into a $5-7K/month lease price? Nope, Nikola would be using H2 made by reforming natural gas. That’s cheaper than renewable hydrogen, and is much more readily available. About 95% of commercially produced hydrogen is made from natural gas. Note that the figures in sven’s post above assume the source is natural gas, even though, being a fool cell fanboy, he carefully omits this fact. But that’s why he’s claiming that it’s cheaper to generate hydrogen than to refine gasoline. Much of commercially produced hydrogen is just intermediate product in ammonia production process. It has nothing to do with hydrogen fuel. Just like electricity, you can produce it from anything. And you Pu-pu were told how that almost half of hydrogen fuel in California is renewable. But you continue to spill FUD anyway. One more proof that Pu-pu doesn’t know what he is talking about. It will not give it for free of course. It will be included in $5000-$7000 lease cost and it will not be unlimited. 1 million miles is all the miles you will ever get out of this truck, including several hydrogen fuel cell stack + battery replacements no doubt, so yes, all the hydrogen you will ever use is included in the 5-7K/month lease. That’s interesting since the value of the hydrogen the truck will presumably use could easily run more than $200K/year at current H prices so it doesn’t look as if Nikola stands to make a lot of money here, even if H prices go down dramatically. $200k/year for H2 fuel is unrealistic. E.g. That is for the whole truck life time, and using $3.5/g price that they will plan for retail sales. 12000/17.5*3.5 = $2,400 at most, possibly less. $5000-$7500 lease is enough to cover it. The mpge efficiency of this design is absolutely horrible. Under 16? The lower the efficiency, the more expensive it will be to operate. So many posts of, well 364 stations is this much money, and equals fail! Many trucking companies operate along established corridors, and so they only need a single major trucking company, and a few of their routes to get started. Might only need 4 to 10 stations for refueling on those routes. I applaud these guys for trying to make a difference. Watch the whole video, they are bring a lot of innovation to the trucking industry. Now, someone please bring this level of innovation to the worldwide shipping fleet, that burns low grade bunker fuel. One massive container ship equals 50 million cars in pollution. There are 90,000 cargo ships plying the world’s oceans and waterways. It seems whatever innovation for cleaner cars (any vehicle on land) is a bit of joke, when the problem is out there on the oceans. I find it interesting all the words here against hydrogen of any kind, when the real problem is cargo ships. I meant the post above to be on it’s own, than a reply to you Anon. Large ships should find an economic benefit from replacing the large diesel engines with electric drive powered by fuel cells and onboard fuel reformers, so they can still use liquid fuel. In fact, I think some ships and/or ferries are already using that system. But large ships are built to last decades, and large marine diesel engines are already comparatively fuel-efficient. I expect the switch to electric drive in ships to be a very slow one. You should really separate propulsion into the energy source and the driveline. Modern cruise ships for example use electric drive systems like Azipods. These are thrust vectoring electric drive propeller pods. However, they get their power from dirty diesel engines. Those engines may be “relatively efficient” but they make little to no effort to clean up the exhaust. The particulates are easy to remove, yet they still spew sooty black exhaust out the stack. Don’t get me started on the other crap that comes out the stack like NOx and SOx. Ocean cargo uses the cheapest fuel they can get and it’s nowhere close to the low sulfur diesel that used on the road. Yes. The really important thing that people are missing is that they’re making a serial PHEV truck that if not an EREV will have a good range and much quiet, clean electric operation in urban areas. They had me – until they went to hydrogen. They are promising to build 364 hydrogen filling stations. That is going to cost (at least) $728,000,000, and that doesn’t count the production and transport costs to get the hydrogen. They have to build at least 40-50 filling stations before anyone would lease a truck. And that would severely limit the routes that can be driven to earn money, to pay for your truck. And yet they have $4B in ore orders with. no fueling stations built yet. If you are a regional carrier and they only build 1 or 2 stations near your routes it would still be a great deal. I do question how they will be able to afford the free fuel but I guess that is for them to figure out. It has a large battery, which gives it radius from the filling stations. They’ve signed up with a fleet operators, so they could prove themselves with will-placed filling stations. PHFCV would be likely to be easier to establish than pure HFCV. that doesn’t mean that they are going to build all 364 at the same time. interstate carriers tend to have somewhat predictable routes. since their main customer is apparently US express, i would expect that they would build hydrogen refueling stations to accommodate US express interstate routes first. i would expect that these trucks will be deployed over a number of years will a relatively slow start up with gradual ramp depending on how the evaluation period goes. The 7000+ trucks sold will effectively pay upfront for the hydrogen. They would be building stations for the customers like Walmart according to their routes. Where is the drag race video of this against a P100DL?? Here is to hoping this truck becomes a reality and can be the future of heavy hauling because it is a lot better than what we have available now! Yes…I hate the poisonous exhaust that comes out of diesels. I held Cummins (CMI) for years while oil was $~100. They developed engines that run on LNG, for national trucking. It never moved the needle, and I’m not sure why. I’d be curious how much steam reformed natural gas it takes to push a hydrogen truck a mile, versus combusted LNG? About that NG stuff. The WSJ had a piece this week, about Dominion intending to ship NG all the way to Japan, from Chesapeake Bay (Atlantic). If that doesn’t give you an idea how cheap natural gas is, nothing will. They compare 15-20 mpge H2 vs 5.5 mpg diesel in non-ideal driving conditions. So more than twice. So my back of envelope calculation says ICE takes at least couple of times more LNG. On the other hand, newest “SuperTrucks” (DOE program) like the one from Daimler achieve 12 mpg. But these are diesels, not LPG, and it is not clear in what conditions. It gives an idea how expensive it is in places that don’t have natural gas resources nor pipelines from other countries. Most of the cost is liquefaction terminal, and receiving terminal. Shipping over the world by sea isn’t that much although it also ads a bit per mile. This is the thermal efficiency of SMR. Discarding electric energy input and considering 100% export steam production. Basically a projected ideal best case scenario. Real life case, not so much. Wonder if at some point the “Nikola Tesla” name will fight it self in the automobile market?.. lol.. Nikola vs Tesla..
Nuclear powered fuel cells are the future kids. Trump knows it, America knows it. WTF are you even talking about? That is not even a thing. Ugh, it is often so difficult to communicate with Trumpkins. Do you mean hydrogen powered fuel cells that drive on hydrogen created by electrolyzing water with nuclear power? Watched the whole video. Well done on the truck!!! I hope they have REALLY deep pockets to get this up and running. I also hope they actually do electrolysis, and not reform nat gas. Looks like the truck version of the Mirai, not a true ev truck. For trucks, battery exchange would be the way to go for true full ev. A 400-500 KWh battery exchanged each 300 miles. The truck would come without the battery and an energy supply company would be provided in the form of exchanged charged batteries at each battery swap station. The truck would load the charged battery with his own hydraulic systems from a front unload dock. You would pay a per mile price for the battery use and a KWh price for the electricity. I have no idea if this makes sense or not because I have not run the numbers. But moving big trucks to hydrogen would probably be better for the environment than diesel. Perhaps they can create limited “hydrogen corridors” along major 18-wheeler interstate routes like they have for CNG such that building a limited refueling infrastructure can be done for a relatively low price.